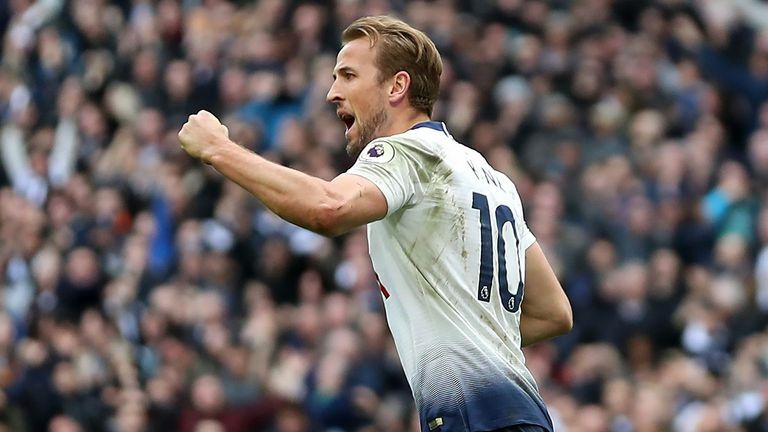 Harry Kane knows Tottenham have to start delivering when it matters if they are to make the next step and turn into trophy winners. 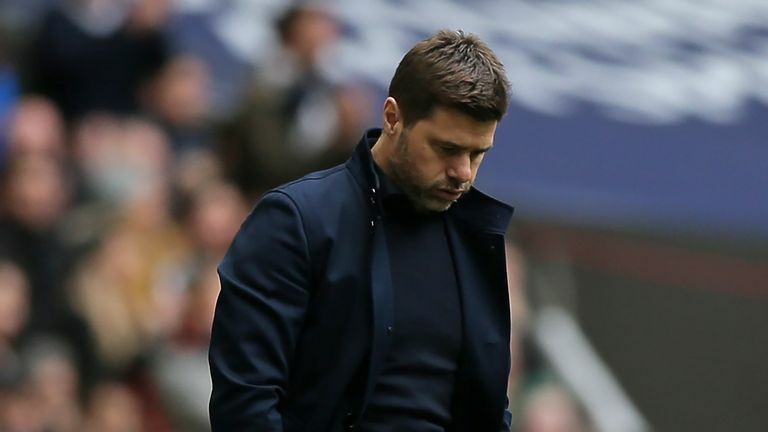 Mauricio Pochettino has led Spurs towards the top of the English game, challenging for Premier League titles and both domestic cups in his four years at the helm, but they have so far fallen short. They have had a tendency not to turn in big performances when it really matters and Kane knows that has been holding them back. Mauricio Pochettino insists Tottenham were better than Arsenal 'in all aspects', despite being held to a 1-1 draw at Wembley. There was more evidence of that last week as, when they were in a position to put themselves firmly in the title mix, they lost back-to-back games against Burnley and Chelsea. "The thing for us now, kind of like this week, when the pressure is on and we need to step up, we need to find a way to get it done," the England captain said. "We haven't done that in recent years, we haven't done that this week and that will be the difference. "That is the turning point that we need to try and achieve." Pochettino said last week that mentality of failing in big games could mean it is another five years before Spurs are putting serious silverware in their trophy cabinet. Highlights from Tottenham's 1-1 draw with Arsenal in the Premier League. Kane hopes it will not take that long, but also accepts his side have some catching up to do. "I don't think it's far away but I think what the gaffer was saying was it's not a guarantee that if you improve you are still going to win things," Kane added. "Every team is improving, every team is strengthening, every team is getting better year-by-year so it's important for us that we don't fall behind that. "We have got to a stage in the last four or five years where we have maybe done more than we expected as a club but it means that we have to do even more to reach that stage. "Whether it's five years or not I can't say, but I hope it's sooner than that." Spurs have a chance to make some progress in the Champions League when they head to Borussia Dortmund for Tuesday's last-16 second leg with a 3-0 advantage. It will take some capitulation against the Bundesliga leaders not to make it through to the quarter-finals. "We will have to be mature, away from home," he said. "They will have a great atmosphere there, they will want to get out of the blocks, firing, and it is down to us to settle the nerves and play under pressure and make sure we dictate the game like we did here in the second half. "It's not going to be easy, but it's down to us to put a performance in and we will never have a better chance to get to a quarter-final. "I wouldn't say we are one of the favourites to go and win it. I think we have shown in certain games, like this year and last year against Real Madrid and Barcelona, that we can beat big teams. "We'll see, the most important thing is to get through on Tuesday and bit by bit if we beat the big teams it gives you a bit more belief. "It's not impossible, it's unlikely at the moment but we'll see what happens."